While teaching art at the University of California, Santa Barbara during the 1980s, artist Ciel Bergman discovered increasing amounts of plastic trash washing up on the local beaches. She began to pick up the detritus with her friend Nancy Merrill. 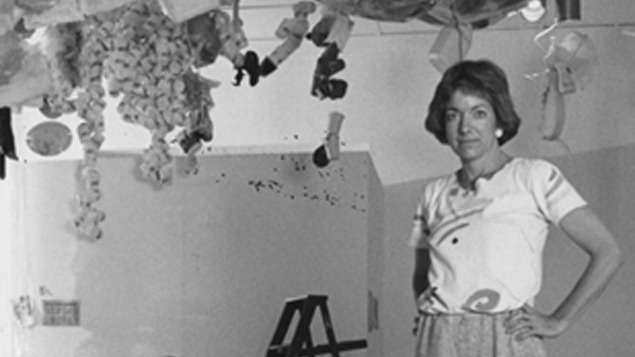 Together they created an installation titled Sea of Clouds What Can I Do that was exhibited in 1987 at the Santa Barbara Contemporary Art Forum. During the artmaking process, and prompted by “witnessing the suffering of many beached, garroted and dying sea mammals, strangling in plastic” Bergman conceived the idea for recycling waste plastic to create a sustainable road paving material to reduce our dependence on oil. As a result, she helped launch the product known as Plasphalt™, which combines recycled plastic and asphalt. Plasphalt™ provides superior performance and reduced costs compared to traditional asphalt paving, but to date has yet to be adopted widely by roadbuilders.